We are the manufacturer of all kind of shuttering plate, wallform system of steel shuttering comprises of standard panels manufactured out of 12 gauge M.S. Sheets with slotted 45X45X5MM or 45X30X4MM angle frame and stiffener channel or heavy duty soldiers, tubes or channel wallers. 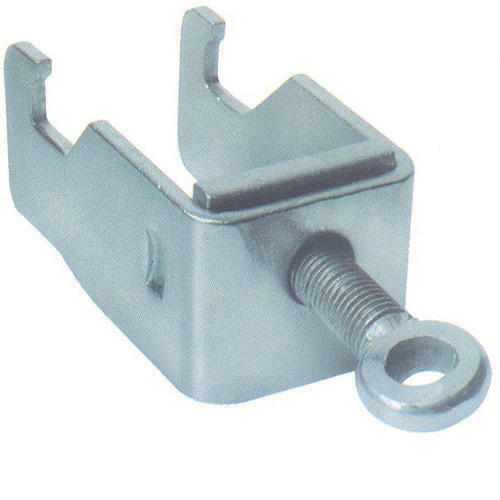 All these components are assembled together by Single Clamp, Bridge Clamp, Assembly Bolt / Wedge and Clip. Wallform Panels are supplied in 1.25M Height, whereas Channel Soldier are supplied in 2.5 M Height. Also Double Adjuster Panel, Internal Corner Panel, external Corner Angle, Splay Panel, Lap Angle etc. are used for various Walform Shuttering Applications. With having high experience in this field, we specialize as leading manufacturers, suppliers and exporter of a Scaffolding Shuttering Plate, based Ghaziabad In India. 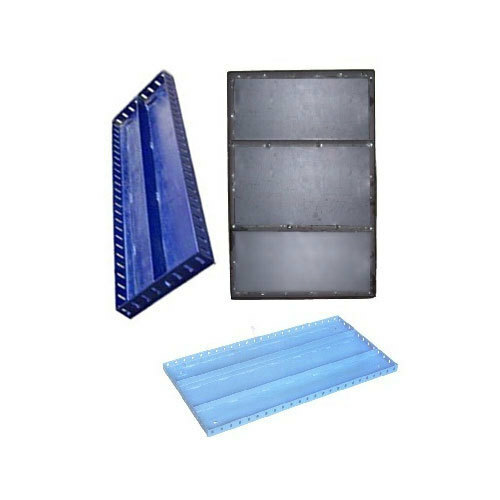 Our shuttering plates are manufactured using finest quality steel and hence these are highly durable. In addition to this, our these shuttering plate made by us are available in various sizes to meet every requirement. Moreover, we also manufacture custom piece as per customer's choice and specifications. Highly used in construction industry to give support to construction materials when making beams, walls, culverts, docks in buildings,flyovers and many other places. We have many satisfactory customer in below mentioned cities. Mumbai, Chennai, Kolkata, Bangaluru, Ahmadabad, Hyderabad, Lucknow, Kanpur, Varanasi, Jaipur, Jodhpur, Ajmer, Bikaner, Kota, Udaipur, Bhilwara, Alwar, Agra, Meerut, Aligarh, Allahabad, Banaras, Mathura, Jhansi, Ghaziabad, Noida, Bareilly, Moradabad, Saharanpur, Uttar Pradesh, Punjab, Chandigarh, Jalandhar, Amritsar, Ludhiana, Bathinda, Pathankot, Patiala, Hoshiarpur, Himachal Pradesh, HP, UP, MP, Shimla, Dharamshala, Uttrakhand, Dehradun, Haridwar, Roorkee, Rudrapur, Rishikesh, Nainital, Udham Singh Nagar, Indore, Bhopal, Jabalpur, Gwalior, Ujjain, Sagar, Ratlam, Satna, Dewas, Gujrat, Surat, Vadodara, Rajkot, Bhavnagar, Jamnagar, Gandhinagar, Karnataka, Davanagere, Belgaum, Hubli, Chitradurga, Tamilnadu, Coimbatore, Madurai, Salem, Trichy, Tiruppur, Erode, Vellore, Kerela, Kochi, Thiruvananthapuram, Kozhikode, AP, Andhra Pradesh, Visakhapatnam, Vijayawada, Warangal, Guntur, Nellore, West Bengal, Asansol, Siliguri, Durgapur, Bardhaman, Bihar, Patna, Gaya, Bhagalpur, Muzaffarpur, Jharkhand, Jamshedpur, Dhanbad, Ranchi, Assam, Guwahati, Agartala, Shillong, Haryana, Karnal, Ambala, Panipat, Rohtak, Hisar, Faridabad, Gurgaon, Maharashtra, Pune, Nagpur, Thane, Nasik, Aurangabad, Rajasthan, Goa, Jammu, Srinagar, J&K, Chhattisgarh, Raipur, Bhilai, Bilaspur, Korba, Odisha, Bhubaneswar, Cuttack, Rourkela, Navi Mumbai, Virar, Kalyan, Bhiwandi, Puducherry, Telangana, Hyderabad, Allahabad, Gorakhpur and all over India. We fabricate an extensive array of Scaffolding Single Clamp to our well-regarded clients which are fabricated from the superior raw material. Including single clamp, our specialists focus on the quality and accurateness of our assortment of products. These are very simple to maintain and are obtainable in different standard sizes and shapes as per clients’ preference for flawless performance. The products are durable and need minimal maintenance but very effective.